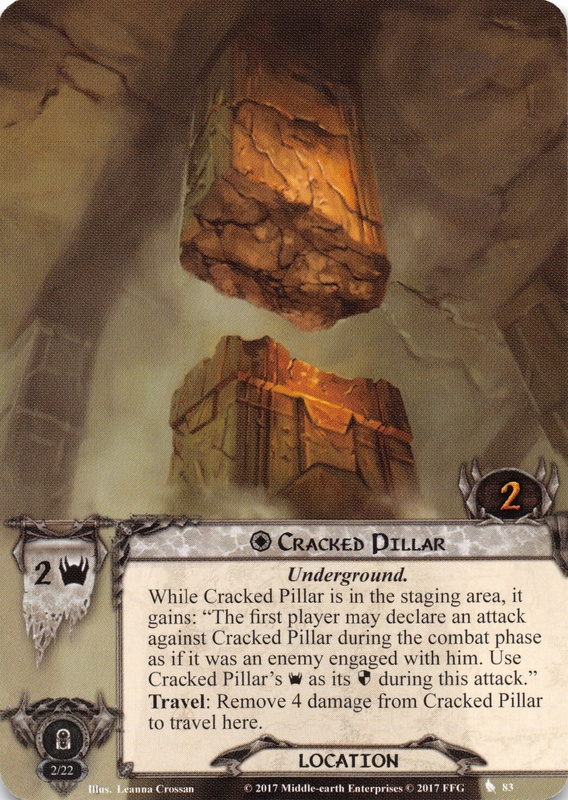 While Cracked Pillar is in the staging area, it gains: "The first player may declare an attack against Cracked Pillar during the combat phase as if it was an enemy engaged with him. Use Cracked Pillar's as its during this attack." Travel: Remove 4 damage from Cracked Pillar to travel here.